This entry was posted on 27th April 2016 by dare hannah. 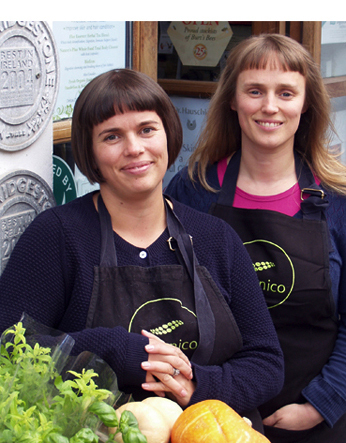 Join us, Rachel and Hannah, for our third Organico Cookery Demonstration of 2016 and let us introduce you to some of our favourite dishes, mostly plant based, full of natural, healthy ingredients and most importantly packed with flavour. When you arrive you will be greeted with a tea and our own spelt scones (please arrive a little early to enjoy this breakfast and meet the rest of your course participants). After the demonstration you will enjoy a delicious lunch including tastes of the dishes demonstrated during the morning. We will give you printed notes to take home, and there will be plenty of time to ask questions during the morning. Places are €45 and are going fast so please book soon - call us on 027 51391, email organiconews@gmail.com or pop into the shop or cafe. The Demonstration runs from 10am till approx 1pm; lunch is served at 1. See you there!